These new Wyoming rules build upon similar requirements the state put in place in the Upper Green River Basin (UGRB) in 2015 that have proved very successful at reducing emissions. Where that area once suffered from unhealthy air quality directly related to leaks from oil and gas infrastructure, it is now on track to regain compliance with federal health based air pollution standards. These rules also set the stage for continuing efforts under new Wyoming Gov. Mark Gordon to extend Wyoming’s successful and even stronger UGRB requirements to existing oil and gas wells statewide. And these new requirements will also help increase state revenue. Leaky equipment at oil and gas facilities not only pollutes the air, it wastes valuable natural gas. Wasted natural gas due to leaks, venting and flaring currently deprives state and local communities of significant royalty and tax revenue. A recent report estimates Wyoming loses as much as $96 million worth of natural gas annually due to these wasteful practices. That costs the state and Wyoming taxpayers an additional $8.8 to $16 million in lost revenue every year. These requirements were one of the final actions taken by outgoing Wyoming Gov. Matt Mead before he left office on Dec. 31. They are a fitting capstone to his work as governor to further Wyoming’s reputation as a leader on oil and gas air quality requirements, first in the UGRB and now all across the Cowboy State. 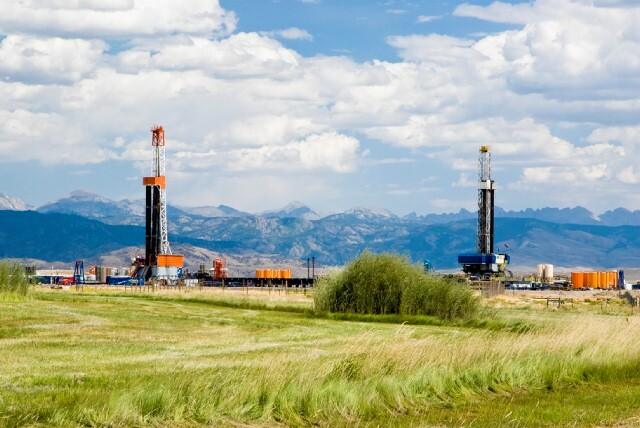 The overwhelming majority of new drilling in Wyoming occurs outside the UGRB – and will be subject to the new standards – but this move will leave the vast majority (75 percent) of Wyoming’s existing oil and gas wells unaddressed. Much important work remains to be done in the years ahead, along with even more opportunities to toast this red oil and gas state’s continuing commitment to leading air quality requirements that cut pollution and methane waste.